DO NOT grind the front strut bores for the bolts to allow adjustment of the front camber. There are service bolts available to allow the front camber to be adjusted, if needed. Remove the front strut to steering knuckle nuts (1) and the bolts (2). 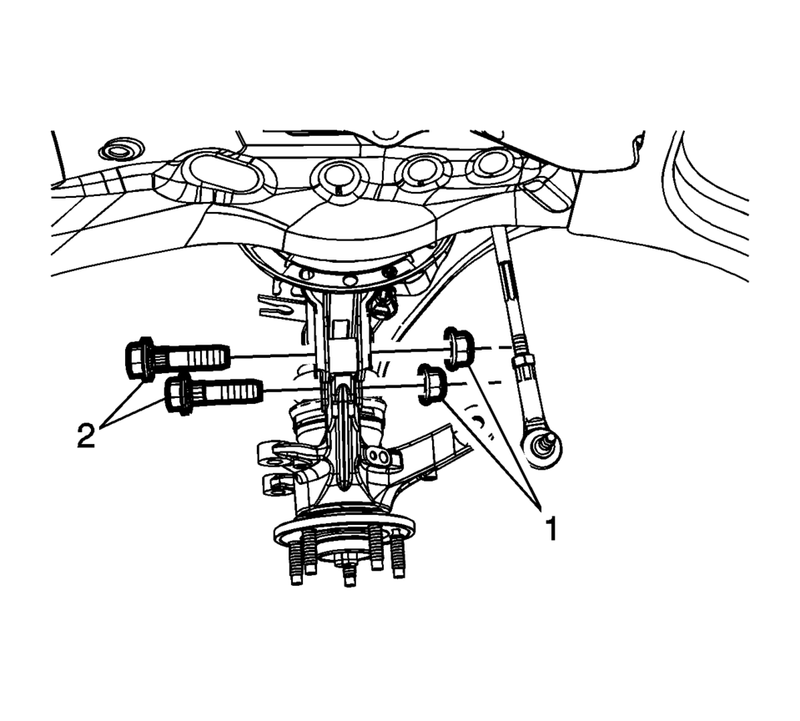 Replace the front strut to steering knuckle bolts (2) with the service bolts. Install the service bolts and adjust the front camber to specifications. Refer to Wheel Alignment Specifications.